YRG CARE Infectious Diseases Laboratory offers testing services from Monday through Saturday (9.00 AM to 5.00 PM) and on Sunday (between 10.00 AM – 4.00 PM). These services are quality assured and offered in a cost effective manner, with a rapid turnaround time. Apart from the HIV/AIDS and Sexually Transmitted Infections (STIs) related tests, the laboratory also offers comprehensive master health-checkup packages to evaluate the general health status. We also have arrangements in place, to test the samples referred from clinics/hospitals in various parts of the country, for both routine testing and master health-check ups. This package includes all key lab tests (hemoglobin, platelet, total lymphocyte count, CD4 count, CD4%, bilirubin and ALT) that are commonly used to assess the health of HIV patients with or without antiretroviral therapy (ART). The CD4 count and CD4% results are derived from standard flowcytometer. This package includes all key lab tests (hemoglobin, platelet, total lymphocyte count, CD4 count, CD8 count, CD4%, CD8%, bilirubin and ALT) that are commonly used for the health assessment of the HIV patients with or without ART. 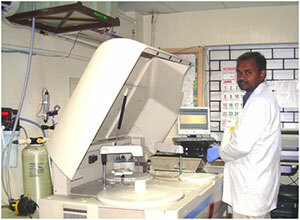 The CD4 count and CD8 count results are derived from standard compact flowcytometry equipment. For the ART Monitoring Package I and II, the specific sample requirements, testing methodology details, standard turnaround time for the test report and pricing can be downloaded here. 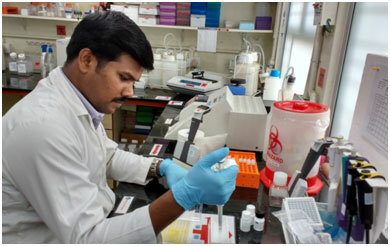 Serological tests detect either antibody or antigen of the infecting organism (viral, bacterial, fungal and parasitic). Results from rapid tests are available in a few hours. 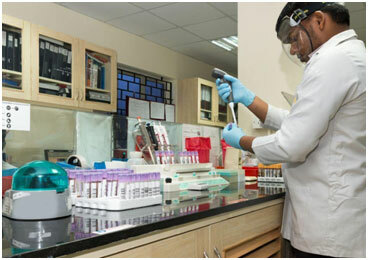 These tests are conducted using either serum or EDTA plasma as samples. The HIV antibody testing is done based on the testing algorithm of the National AIDS Control Organization (NACO), Government of India, New Delhi with the pre- and post-test counseling. The specific sample requirements, testing methodology details, standard turnaround time for the test report and price details can be downloaded here. In HIV patients, hematological tests 1-9 on the list below are used to assess ART drug-associated toxicities and the immune-hematological tests (10 & 11) are used to assess the body immune level (HIV disease status) of the patient. The tests are performed with EDTA whole blood and results are usually available in a few hours. HIV-infected patients are susceptible to opportunistic infections (OIs) caused by a variety of microbes; a common infection is tuberculosis. 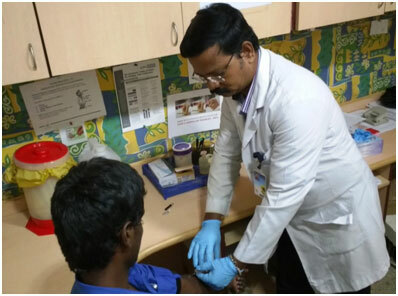 To test for such infections, some samples such as urine or sputum are self-collected by patients based on guidelines that we provide. 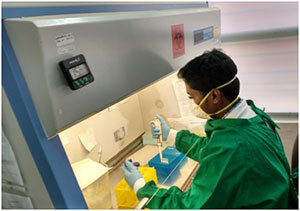 The Tuberculosis (TB) PCR (GeneXpert MTB/RIF Assay) is a rapid PCR test and the result is given within 3 hours time. Various molecular biological and genotyping tests (assays) monitor infection by HIV and the Hepatitis B and C viruses, assess how effective treatment is, and help in the decision to switch drugs or treatment regimens. 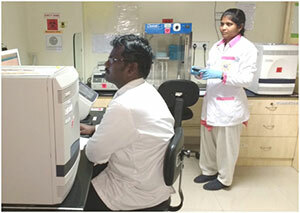 The Multiplex CT/NG PCR is used to diagnose the infections by Chlamydia trachomatis and Neisseria gonorrhoeae.